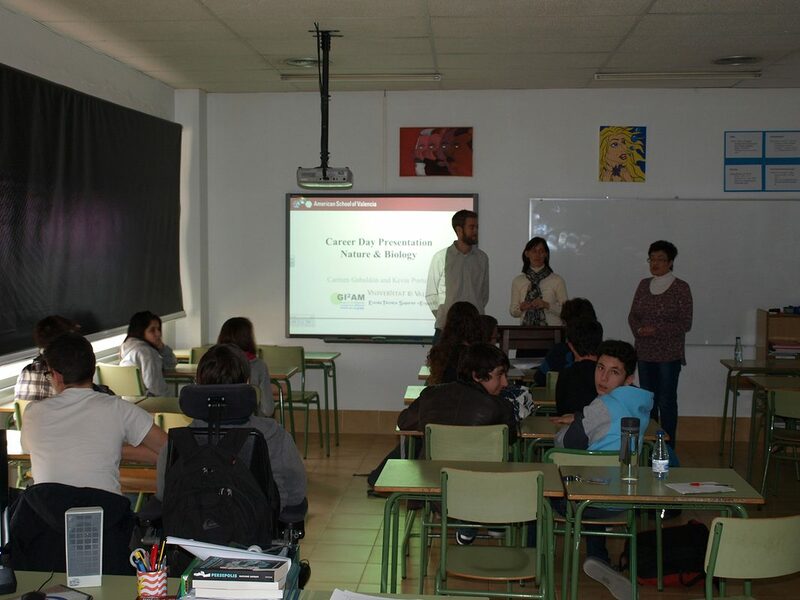 Carmen Gabaldon and Kevin Portune discussed their professional careers and current work on the Next Air Biotreat project with local high school students at the American School of Valencia during their annual Career Day event on 16 of January. The researchers also detailed their career paths that they took to arrive to the positions they hold today at the Universitat de València, as well as offered advice on entering into undergraduate and graduate programs in science. The presentation finished with a question and answer session with the high school students.